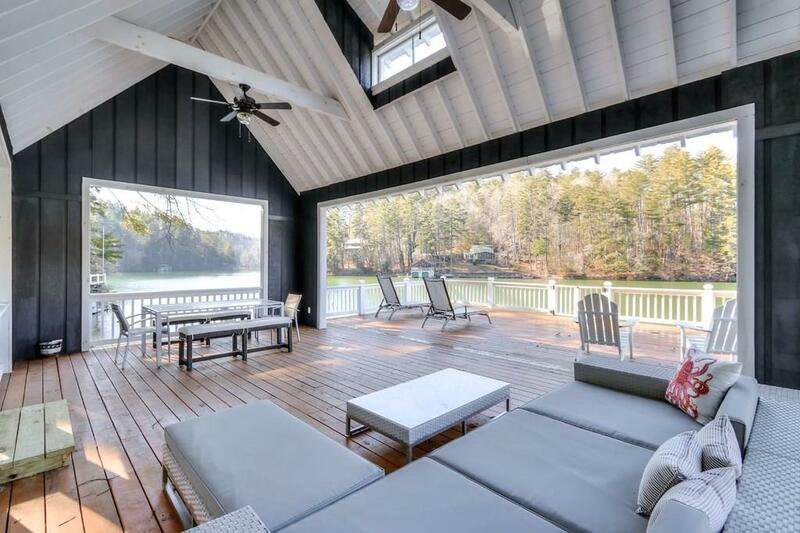 Mountain & Water views on Lake Rabun. Completely renovated. 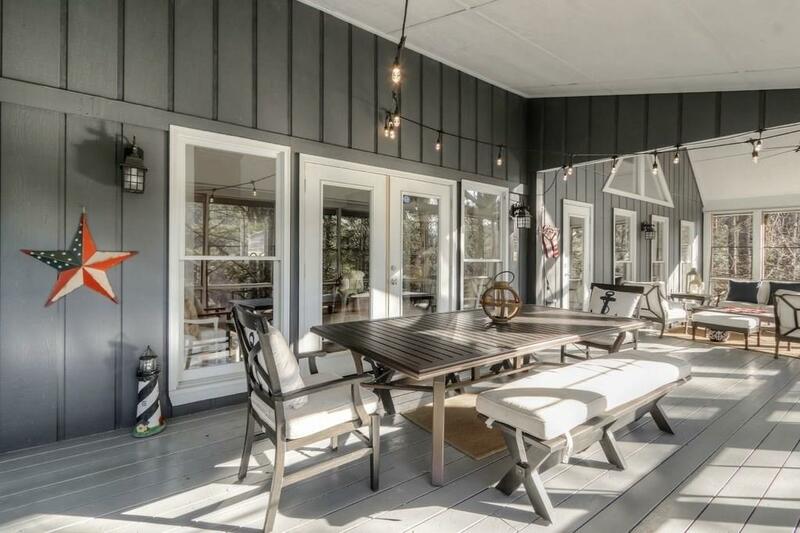 This home has 4 BR/3 baths. 1st floor features master & guest on main, open kit, living & dining. 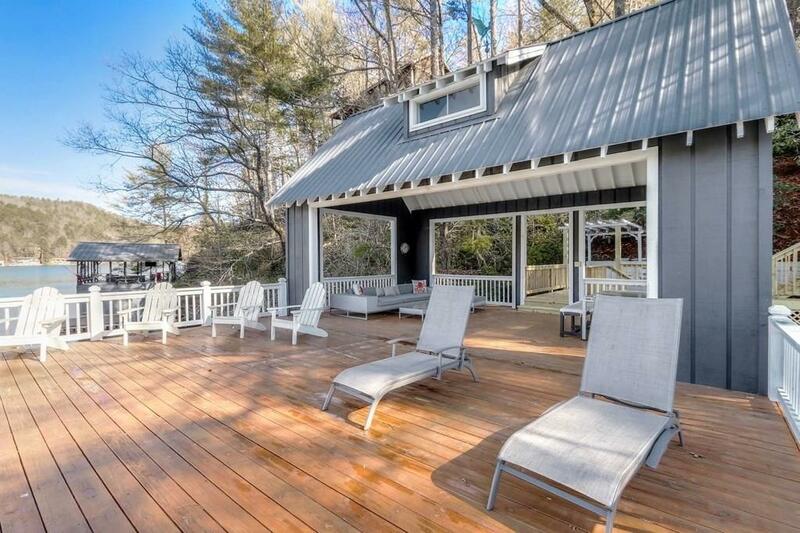 All w/views of the lake & opens to screen porch. Lower level is an entertainer's delight! Wonderful bar area custom wood wall & shelves w/rec room, bunkroom that will accommodate 3-6 beds, & bath. Lower level opens to covered deck. 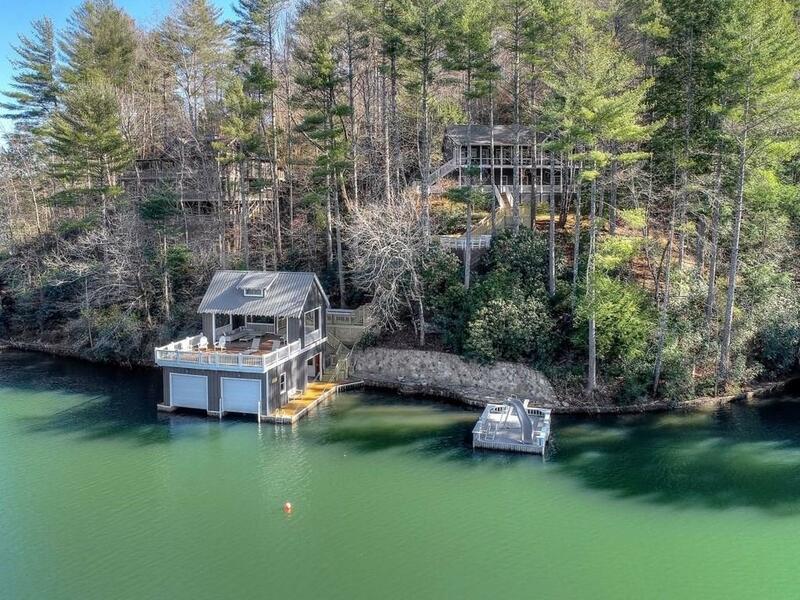 NEW boat house w/2 boat lifts & sun deck, w/covered deck above. Lots of storage for water toys. Shoreline with stone wall stone terrace & water slide. Wonderful Lake Rabun Retreat!